Your screwed by 1,000,000,000 damage! 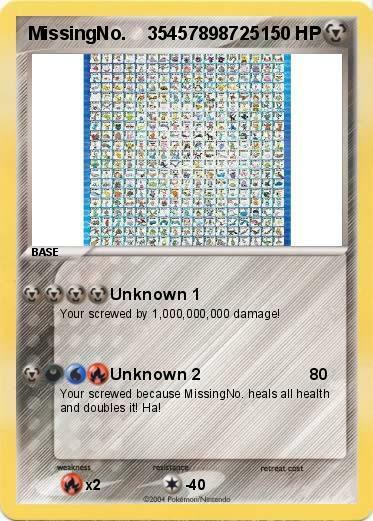 Your screwed because MissingNo. heals all health and doubles it! Ha!